Guess who’s back? I know I have been extremely quiet the last few months. I had taken a step back in organising my own events as other projects came along as well. Such as working as a Mindset Coach for a group of starting entrepreneurs mostly women, giving corporate workshops and working at an international HR department. Very interesting for someone like me who is intrigued by human behaviour. I have done quiet some travelling last year as well. Almost to the extent that it became tiring, packing while unpacking. And I have so many new ideas that I’ll be sharing with you during the coming months. How have you been? What is making you tick? And in what areas are you holding back? This time of the New Year is usually the moment to make some adjustments to your intentions for this year. I invite you to do some honest self-talk? In what areas would you like to have some support to get out of your own way? What is standing in your way of what it is you really want in life? Many of you have asked me when I would start organising Pop-Up Meditations or Workshops etc. Well, the time is now. I have found a very nice yoga studio in Amstelveen where I’ll be hosting 3 events. More dates will be confirmed at a later stage. Learn new step by step, layer by layer strategies to brighten your light, fully embodying and embracing yourself, thus creating space, allowing more flow and other excellent stuff in your life. (Yes, it all starts with YOU and fully accepting where you are right now). During the coming months, I’ll be organising a monthly brand new, inspiring, healing-based guided meditation. You’ll learn valuable information about yourself and raise your awareness about small changes you can make to get out of your own way when it comes to sustaining real flow in your life. From awareness of your body wisdom, imbalances that are bothering your day-to-day life to how to use the power of your mind to heal and release limiting beliefs, dealing with your emotions and expressing your truth. I’m here to hold sacred space for your expansion and won’t stop until you have your break-through. You’ll leave feeling relaxed, stress-free, full of energy, healthy and happy! Due to the intimate setting there will only be room for 10 participants. We’ll have yoga mats/blankets for you to use at the venue. Dress code: comfortable wear. Please bring a bottle of water and a notebook in case you might want to write down new insights. Don’t worry if you can’t make this one. The following ones will take place on 3 and 31 March. Later dates to be confirmed. 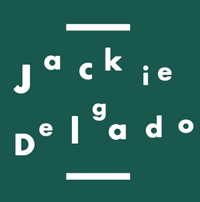 Jackie is a Human Potential Activator / Life Coach / Teacher supporting individuals and professionals in a holistic and empowering way on their path of expanding consciousness.